MADISON, Wisc. 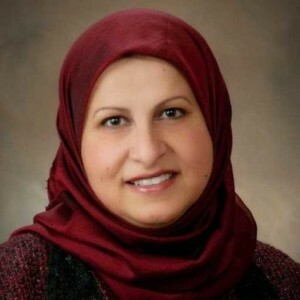 — A Muslim woman led the first prayer to Allah on the Wisconsin Assembly floor on Thursday. Janan Najeeb, the president of the Milwaukee Muslim Women’s Coalition and founder of the Islamic Resource Center, had been invited to give the invocation by Rep. Mandela Barnes, D-Milwaukee, who professes to be a Christian. He told reporters that he invited Najeeb to promote diversity and portray Muslims in a positive light. In addition to offering an Islamic prayer, she also read from the Koran, citing Ar-Rum 30:22 and Al-Hujurat 49:13. Najeeb is married to physician Waleed Najeeb, and was among those who opposed a recent move by the manufacturing company Ariens to change its prayer policy to prohibit prayer breaks other than at meals. A number of Muslims quit their job due to the rule as the Islamic faith requires prayer five times a day at specific times. Najeeb recently gave the presentation “Understanding the Islamic Faith: Commonalities With Christianity and the Role of Women” before the Roman Catholic School Sisters of St. Francis in Milwaukee. As previously reported, in 2014, an Islamic imam led a prayer before the U.S. House of Representatives as those representing the people from states across America stood with their heads bowed and eyes closed.